Tarcila Rivera Zea is a Quechuan activist from Ayacucho, Peru who has devoted over 20 years of her life to defend and seek recognition and acknowledgment of Peruvian indigenous peoples and cultures. Tarcila moved to Lima when she was ten years old, and worked as a domestic worker in exchange for education, learning Spanish only at age 18. She finished high school at age 21. She then went to work at the National Institute of Culture (INC) in 1972 as a secretary. While there, she won a series of OAS scholarships to specialize in archival and library studies in Argentina and at the Vatican. In the 1980s, Tarcila joined the Indian Council of South America as a journalist, contributing to the magazine Indian People. 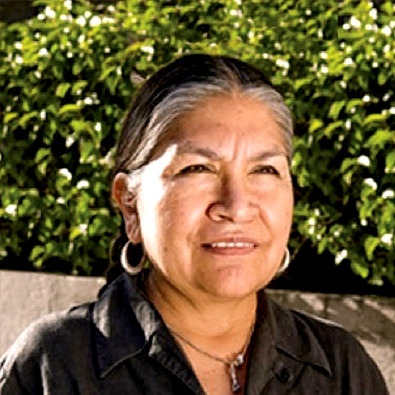 She collected testimonies of indigenous women raped in prison during the political violence. For this work, Tarcila was recognized by a foundation in Holland, who invited her to pursue a human rights degree at the Institute of Social Studies (ISS) in The Hague. Since 1987, Tarcila has participated in the Working Group of Indigenous Peoples in the formation of the Permanent Forum on Indigenous Issues at the United Nations (UN) and the UN Declaration on the Rights of Indigenous Peoples. She also participated in the International Conference on Population and Development in Cairo (Egypt, 1994), the World Conference on Women (Beijing, 1995) and the Declaration and Program of Action of Durban (adopted at the World Conference Against Racism, Racial Discrimination, Xenophobia and Related Intolerance, South Africa, 2004). She provided input into policies concerning intercultural education, empowerment and the visibility of indigenous women. In the past 20 years, Tarcila has contributed to the creation of the Continental Network of Indigenous Women of the Americas (ECMI), the International Indigenous Women Forum (FIMI) and the International Indigenous Press Agency (AIPIN). Her contributions have resulted in the creation of the Permanent Workshop of Andean and Amazonian Indigenous Women of Peru, the International Forum of Indigenous Women of the Americas and the Continental Link of Indigenous Women of the Americas.